This Durban conference venue offers guests style and comfort, complete safety and security in a picturesque, botanical garden in the up-market residential area of Kloof. 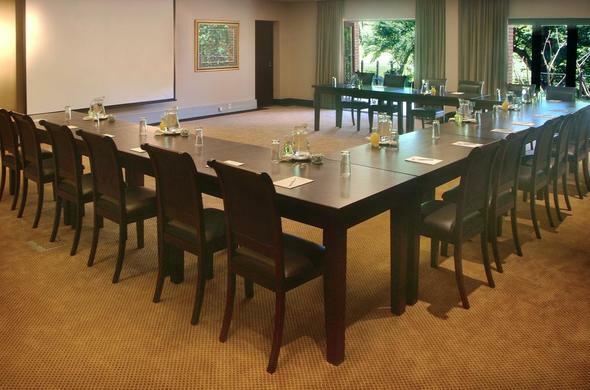 The conference facilities available at this Durban conference venue offers guests style and comfort, complete safety and security in unique and picturesque country surroundings with an atmosphere of relaxation and calm. Delegates can indulge in the superb set menus created specifically for their dietary needs. Standard equipment in fully air conditioned and stylish conference rooms. Makaranga is the ideal venue for smaller executive conferences, brainstorming sessions and workshops.